+$Adobe's Project Felix, which allows you to easily introduce 3D modelling to 2D work, is now in public beta. +$Adobe's incredible new app for graphic designers,菲利克斯项目+$, is available for Creative Cloud subscribers to download today. The 3D tool for 2D work was demonstrated at this year's Adobe MAX in San Diego, and it promised incredible photorealistic images that are simpler than ever to create. 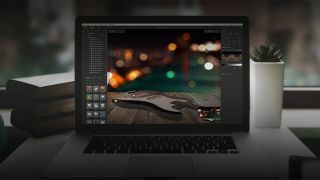 +$Now designers can discover for themselves what Project Felix is capable of, as Adobe launches the public beta. The application's Photoshop-like interface allows the creation of product shots, scene visualizations, and abstract art with 2D and 3D assets, without any specialist knowledge of 3D software required. +$Users can work with 3D models, materials, lights and background images licensed from Adobe Stock’s marketplace of 3D assets, or import your own from the desktop or via shared CC Libraries, to create fully lit scenes. Felix’s controls and tools allow you to customise specific properties like materials, perfect lighting and adjust camera angles. +$It does this using an advanced machine learning algorithm dubbed Adobe Sensei, which ensures lighting angles and corrections are perfectly aligned and in perspective.